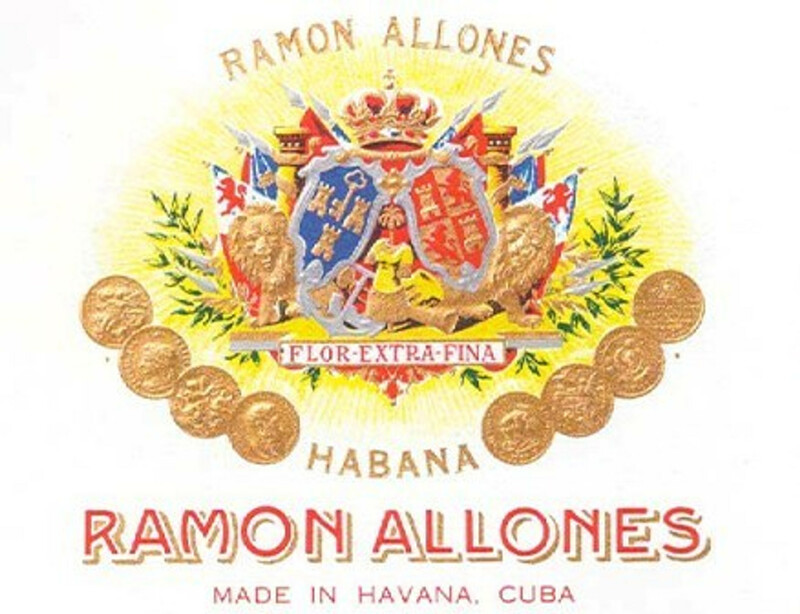 The brand was created in Cuba by brothers Ramón and Antonio Allones (no relation to the Antonio Allones of El Rey del Mundo fame) in 1845 and is supposedly the first cigar brand to have utilized colorful lithographs for box art, the first brand to utilize bands on cigars, and the first to package cigars in the "8-9-8" style (though there are several rival claimants as to who first made box art and bands). The brand went through numerous ownership changes before it was finally bought by the Cifuentes family and production was moved to the famous Partagás Factory, where Ramón Allones cigars are still made to this day. After the Revolution, production continued uninterrupted and Ramón Allones has consistently stayed popular with cigar aficionados through the decades. Traditionally, Ramon Allones cigars are medium to full-strength in flavor, and the blend shares some of the characteristics of Partagás as far as overall body, vitolas, and packaging. It has always been produced in smaller quantities than Partagás. Since 2001, when Altadis bought a controlling share of Habanos SA, the Ramón Allones marque has seen the majority of its manufactured sizes discontinued, including the much-beloved Coronas and even the 8-9-8 size it helped pioneer. Of the sizes available now, the Specially Selected, Gigantes, and Small Club Coronas are still incredibly popular among aficionados. Since 2005, Ramón Allones has been a popular choice with many importers for the Edición Regional series of local market special sizes. The Belicoso vitola released for the UK market may have been a prototype for the regional edition program, as it appeared first, being imported only to the UK, and without any additional bands or special packaging.